SIX WINERIES... ONE BIG ADVENTURE! Get your trail map and visit all six wineries. 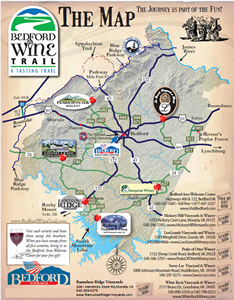 Have your map or brochure stamped and return it to the Bedford Welcome Center for a free Bedford Wine Trail glass!